The phablet space has certainly gone a long way in the past three years. From a virtually empty niche to one of the most hotly-contested segments of the market. The once mocked Samsung Galaxy Note lineup is now receiving the highest form of flattery, with just about every manufacturer pushing a direct rival. Yet, the Oppo N1 isn't just another Galaxy Note 3 wannabe. The Chinese company was very keen on leaving a mark in the phablet game and the result is a device with plenty of character and innovation. For starters, the design and build are distinctly different from the competition and, one might argue, superior to most of them. The rotating camera, the rear touchpad, the O-Click remote aren't just novelties for their own sake - each of them contributes to the user experience in a meaningful way and shows that there's more than one way to create a good phablet. And it's not just the hardware either - the Oppo's proprietary Color OS has plenty going for it as well. Granted, the N1 might have benefited from a more capable chipset - not because it feels sluggish now, but because a great device certainly deserves more in terms of future-proofing. And the bezels could be slimmer - phablet user-friendliness is particularly dependent on that and the N1 certainly wastes more space than it should, particularly above and below the screen. At first glance, there's not a lot of wrong for a device that gets so many things right. But with the kind of competition that the N1 is facing, every mistake might cost you dearly. Of course, the first device that springs to mind when you think of phablets is the latest installment in the series that started it all. 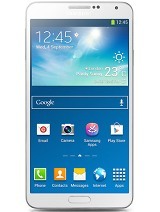 The Samsung Galaxy Note 3 offers a tad smaller screen, but it's of the Super AMOLED variety. It's got a much faster chipset plus expandable storage. Add the S Pen and its ever-expanding functionality and the 4K video recording and it immediately becomes evident that the Oppo N1 will have a hard time prevailing in this battle. However the N1's lower price, larger screen and a choice between two operating systems - Color OS and official CyanogenMod support mean not all is lost. The HTC One Max also offers expandable storage and even throws in front-facing stereo speakers, but its camera is seriously underwhelming and its chipset isn't any better than that of the Oppo N1. Plus, the HTC phablet is seriously expensive at this point, so the Oppo N1 can easily be viewed as the better value option here. 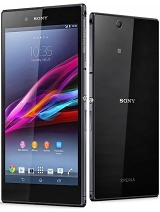 Moving on to the Sony Xperia Z Ultra, which offers an excellently fast Snapdragon 800 along with a 6.44" display as well as IP58 certification for water and dust resistance. The ample bezels make the Sony phablet particularly hard to carry around despite its marvelously slim waistline and its camera is pretty limited, so we find better balance in the N1. The Nokia Lumia 1520 is the first foray into phablets for both maker and platform, but that doesn't mean it can't put up a proper fight. The 20MP PureView camera and the Snapdragon 800 chipset are some strong assets, but the limited choice of apps on Windows Phone and the high asking price make it a tough recommendation. Finally, we come to the LG Optimus G Pro. The first device outside that Note lineup that dared climb to the phablet throne (before the Note III came around, anyway) has had a couple of price cuts and offers excellent value for money. The Optimus G Pro chipset is only marginally slower than the one inside the N1 and its screen, albeit a tad smaller, is equally impressive. Granted, the LG phablet is no match for the Oppo flagship in terms of looks, but its lower pricing and expandable storage may put a lot of pressure on the Chinese manufacturer. 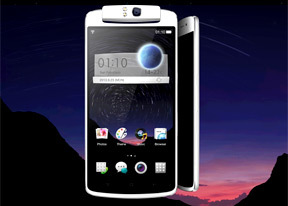 So, at first glance the Oppo N1 finds itself in an unenviable position. It doesn't quite have enough to dethrone the Galaxy Note 3 in a direct battle so it will have to battle it out with the rest of the phablets for those disgruntled with TouchWiz. This means the arrival of CyanogenMod might be way more valuable for the N1 than expected. 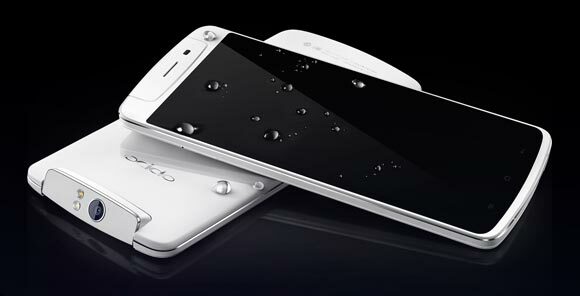 If the new Oppo flagship gets recognized as some sort of a Nexus of the phablet world, its prospects will soar. Another thing that the Oppo N1 can use to its advantage is the aggressive pricing that Chinese manufacturers have been known for. The phablet is currently on sale in China for CNY3,500, which is about $575 or €420. If the price tag in Europe and America is close enough, it will be one of the bargains of the season. With no microSD card slot to allow cheap memory expansion, you'd probably need to go for the 32GB version though, which makes things trickier. At the end of the day, the Oppo N1 might not sell tens of millions of units, but it does make a strong statement. It demonstrates that Oppo has ideas and the courage to see them through, and it's fully capable of materializing its out-of-the-box thinking. And that's a win of its own in our books.